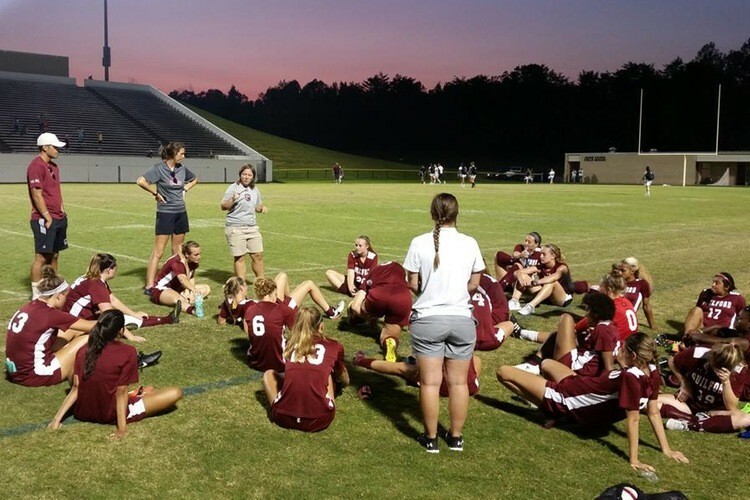 The Guilford College Quakers Women’s Soccer Fall Camp is going to be on October 22. It will take place at the Haworth Fields in Guilford College campus. It is open to any female soccer players in the 9th to 12th grade. Incoming college freshmen may also join the camp. The program is ideal for those who want to play at the collegiate level. It includes sessions on improving the players technical and tactical understanding. In addition, participants will also play competitive small-sided and full-sided games. The schedule starts at 1:30 PM and ends at 6:00 PM. It will be a challenging and fun soccer training experience. Guilford College is a private, coeducational, liberal arts college in Greensboro, North Carolina. Peace and Conflict Studies and Community and Justice Studies are some of the popular programs it is offering. The college has an accreditation from the Southern Association of Colleges and Schools Commission on Colleges. Another of its accreditation is from the Accreditation Council for Business Schools and Programs. Guilford College is 160th in National Liberal Arts Colleges, 2018 edition of Best Colleges rankings. Currently, it accommodates around 2,200 students with acceptance rate at 61 percent. The student to faculty ratio is 13:1. Guilford College fields 18 intercollegiate sports teams. They are participating in the Old Dominion Athletic Conference of NCAA Division III. Their nickname is Quakers while crimson and gray are their identity colors. Stephanie Webb is the new head coach of the Guilford College women’s soccer team. She is the former Queens University assistant coach. Moreover, Coach Webb is also a former associate head coach at the University of North Dakota. Coach Webb is a standout during her players year. In fact, she is a member of the 2008 Atlantic Sun Academic All-Conference team. Then, the Quakers women’s soccer assistant coach is Anna Smither. She is with the coaching staff since August 2016. Coach Smither is the head coach of the Wake Futbol Club U-14 women’s team. The Guilford College Quakers Women's Soccer Fall Camp is going to be on October 22. It will take place at the Haworth Fields in Guilford College campus.